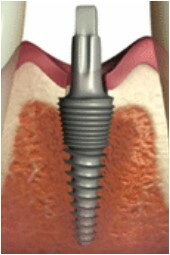 A dental implant is an artificial dental root, which is inserted into the jaw bone to replace a lost tooth. Prosthodontic restorations are fitted on the implants about two to ten weeks after the MIMI® implantation. Then, the treatment is completed, and the patient will have an excellent, well-functioning dentition that looks like natural teeth. Champions implants would be inserted (in the MIMI® procedure) worldwide in the next years, since Champions® Implants GmbH is one of the few German dental implant manufacturers who has received the American FDA 510(K) approval for its products.